Congratulations to Blue Square South non-leaguers Havant and Waterlooville, who gave a superb account of themselves at Anfield in the FA Cup this afternoon, scoring twice (a goal from Potter deflected off Martin Skrtel and a close range header by Richard Pacquette) against the mighty Liverpool, before going down 5-2 to a Benayoun hat-trick and a blatantly offside Peter Crouch effort at the end. Back in the 1960s and '70s, when my footballing passions were ignited, the gulf between professional and part-time or amateur teams was such that you expected massively unequal contests. These days, the improvements in technique, tactics, fitness and training all round mean that while there is still a huge chasm between Premier League and non-league, there is also surprising quality in the lower echelons of the game - often of a kind which takes mega-wage stars reel. Given that sheer determination can often compensate for lack of finesse (if not the magic conjoured up by sheer class), the key differences are usually in overall stamina, the number of mistakes made, and a certain positional or organisational naivete on the part of the minnows. However, Havant undoubtedly played out of their skins today, taking the lead twice, grabbing a significant chunk of the first-half action, and showing that they more than deserved to breathe the Kop air alongside many of their heroes. This is indeed "what the FA Cup is all about." Then again, the January transfer window in the big leagues opens the floodgate for manoeuvres at all levels of the game. Depending on how you experience them, these Winter sales are either a rummage through the bargain bins, a game of musical chairs, a chance to flash a bit of cash, or an opportunity to dust down someone else’s nice, fat chequebook. What makes for a good manager? Everyone has a view. That’s the trouble. At some Clubs the emphasis is more on motivation and (blessed phrase) ‘man management’. In others, especially those with a larger backroom team, it’s about the larger tactical picture. At the grassroots, football management is invariably a little bit of everything, mixed in with the capacity to expect the unexpected and not develop too fine a sensitivity towards the opinions around you. Except the ones that matter – those that keep the Club funded and fortified. You are also likely to be recruited as much on the basis of what the board and others consider to be your predecessor’s weaknesses, as you are on your own strengths. Then there’s that unfathomable part of the mix known as ‘chemistry’. Football is about individual skills, but it’s a team game at every single level, not just on the pitch. A manager with a less shiny record and fewer headline skills may turn out to be just the man for the job if he can get people working and believing together via the gel of personality. Then again, that will be a vain hope if the team is failing for lack of nous rather than nerve. If any of us knew the winning formula, we’d be laughing. We can’t of course. But it’s fun trying – unless you’re the poor so-and-so who’s going to be held responsible for the big decision. There’s always one, whatever the theory about collective responsibility. In the television era, the ‘manager as superhero’ (with feet of clay hiding in the shadow of that huge ‘S’) is an established brand. Everyone yearns for a Strachan, a Ferguson, a Mourinho, a McLeish. Equally, each of us may have incredibly strong feelings against any or all of the aforementioned, besides any number of ‘ideal candidates’. In truth, managing a football team is mostly an unglamorous affair. Ninety per cent perspiration and ten percent inspiration. Those who succeed tend to be those who can balance assets according to changing fortunes, and who are able to count on (or build) a solid base of support for the long haul. Without that, blinding flashes of genius will be lost. The Scotland role is going to be monumental task, too. World Cup Qualification is no longer a pipe dream, and everyone wants to believe that the ‘Scottish renaissance’ can continue. So, tough jobs in different ways. But it could be worse for both teams. England have been moaning for months that they need a manager of indisputable international reputation. (They had one in Eriksson, and look what they did to him, and what he’s achieving now). Fabio Capello is that man. No one expects sweet FA of him, except in the positive sense. But the truth is that if the English still don’t succeed with their expensive Italian import there will not be many places to hide. This column was adapted by Mike Blackstone, editor of The Grecian, from 'Blaming it on the boss', which appeared in Dumbarton's Sons' View on 02 January 2008 - since the column I submitted for this edition got mislaid in a transmission error. Who says football and culture are incompatible? Not the well-regarded ex-head of the Soccer Skills Circus in Glasgae, who now compares Newcastle fans searching for entertainment on a Saturday afternoon to "Southerners going to the theatre". Let's hope the kids at Inverkip continue to get good service and attention after his departure. It's an unlikely proposition for most of us, but Watford FC is like paradise according to 19-year-old midfielder Al Bangura. 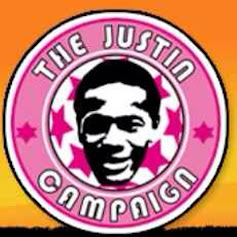 That's because, after a tireless campaign by supporters, local MP Claire Ward, civil rights activists, the local community, the Club and the Daily Mirror newspaper, Bangura has at last secured a work permit in Britain and has thrown off the threat of summary deportation hanging over his head. The earlier Home Office decision to send him back to war-torn Sierra Leone would have been "a death sentence", he and his backers declared. He faced persecution and possible execution from the Soko Society sect had he been repatriated to the country he fled when 15 years old. It's a right and proper end to a dismal saga, which highlights the lack of perspective and compassion often surrounding the issue of asylum and refugee status in Britain, under pressure from a hysterical tabloid media and cowed politicians. We're a wealthy country, and we benefit from the huge disparities of riches and power which exist in our world today - ones that, along with some great football, I hope, will be on display in the African Cup of Nations starting tomorrow. That's why those fleeing terror and conflict (a tiny number, compared to those displaced in the global South) deserve fairness and dignity, not fear and loathing. Some good news. Dumbarton midfielder Chris Gentile (whose Wikipedia profile I have just updated, incidentally) has come through training well this week, says Sons' new boss Jim Chapman on the Club's website, and he will make the long trip to Stair Park [pic] in pursuit of some much-needed points from Stranraer. The next time I see the Blues will be at SHS on 29 March, celebrating my 5oth birthday the next day with a DFC win (I hope). This weekend I'll be catching Exeter at home to Oxford United on Sunday night. It was originally set for Saturday afternoon, but the Setanta TV schedule in which it features has shifted it, to the chagrin of a number of people. "Pint of fog, please mate!" As someone from Newcastle United remarked on the BBC earlier today, the appointment of Kevin Keegan as the Magpies' next manager will be greeted with euphoria on Tyneside and a certain degree of puzzlement elsewhere. A triumph of adrenalin over calculation, but who knows - it might work. Just imagine, a devil-take-the-hindmost approach thwarting the posterially retentive ProZone Premier League technocrats. Football feasts of "stranger things" happening. One of which will be the appearance of Blue Square Conference South side Havant & Waterlooville rolling up at Anfield to face the might of Liverpool in the Fourth Round of the FA Cup. The non-league side, two divisions short of the Football League, have just turned over Swansea City (League One leaders) 4-2. The third goal came from Tom Jordan, son of Scotland hero Joe, glancing the ball past Dorus De Vries from Brett Poate's cross from the right. Congratulations to them. If only some of the excitement had rubbed off on BBC1's live FA Cup game, Manchester City against West Ham, which was ground out by Sven's men 1-0. Snoresville. Next Saturday, following a satisfying 2-0 home win against Second Division Berwick in November, Dumbarton have a pop at SPL opposition in the Scottish Cup for the second season running. Last January it was a glorious trip to Celtic Park that made our year, in spite of a 4-0 defeat. The away tie at St Mirren is unlikely to be much of a money-spinner, however, and getting any kind of result will be tough - to put it mildly. An improvement on the pre-season 3-0 defeat at SHS will be needed. But we can dream: a shock result and an away draw against one of the Old Firm would do nicely, thank you. The fourth round game against Saints at Love Street will be preceded in the morning by the Sonstrust AGM at the Rock. I can't make either, sadly. But my limbs will be crossed. As I write this, I'm watching Newcastle on the ropes against lower division Stoke City in the second half of what is turning out to be an energetic FA Cup tie in poor conditions. I'm no huge fan of the Toon (whose whingeing, "we should be bigger than thou" stalwarts can grate on the nerves), and I have less time than I used to for manager Sam Allardyce - not a terribly appealing character, though you have to admire his grit. A few years ago at Bolton he entertainingly observed that "I might be taken a bit more seriously if I started pronouncing my name Allar-dichy". Well, yes. But the FA were still not wrong to conclude that he's certainly no Fabio Capello, who in turn, having now witnessed two error-strewn and often scrappy Cup matches, including a poor Aston Villa - v - Man United encounter, must have some clues about the poor environmental influences on his putative England stars. Talking of reality checks, if Newcastle fans think swapping Allardyce for the managerially untried and constitutionally unimaginative Alan Shearer will solve their problems, they need their heads examining, as Richard Williams astutely observes. Meanwhile, Stoke have left the Toon Army beleaguered again. Newcastle never looked like winning. Big Sam will have to hope that the board read The Guardian. One of the BBC's recent decisions - in the "less sensible" category - was to downgrade its website sport discussion boards some months ago... so that we are now confronted with the legendarily naff 606 Debate area. Or not, if we have any sense. What it achieved, I gather, was an economy that kept Jonathan Ross safe on his £16 million remuneration, as he'd have really missed that 500 odd quid they saved. Anyway, "out of sheer interest", as they say (though I realise it's no defence), I happened to click on the Add your views, reports and player profiles to the Dumbarton section of My Sport link while on the My Team page. Yup, it gets you through to a browse file proudly announcing "Page1 of 0 for Berwick scottish football" (a mathematically challenged proposition), before adding, in helpful explanatory mode: "No articles have been described using this word or combination of words." So fret not, your license fee is safe. The world in 2008 may still be a grim place in many respects, but Fergus Tiernan (53") and Brian McPhee (63") made it a Happy New Year for new Sons boss Jim Chapman this afternoon, as Dumbarton won 2-0 at home against his old side Albion Rovers to clamber into eighth spot in the Irn-Bru Scottish Football League Third Division. With Forfar losing 1-0 to Elgin, that means we won't go bottom even if the Loons pick up three points from their game in hand. Shire were also dumped 3-0, so if we can stay on level points with them we have a goal difference advantage of six. Always look on the bright side of life... it may or may not be the start of a new era at SHS, but it's certainly a much-needed boost. Naturally, I put it all down to my friend Kevin Scully, Leyton Orient fanatic and Rector of St Matthew's Bethnal Green, for giving the Sons an honourable mench in his Christmas Eve sermon. We'd been at the O's the previous day, when St M's were manager's sponsor (picture to follow, I hope). Kevin's anecdote was ostensibly about how our different interests mould our perceptions about events in life, but any excuse to shoehorn the Beautiful Game in, really. Quoth he: "I have a friend who came to the football with me the other day. As we sat suffering the game which was to end 0-0 between Leyton Orient and Yeovil, he would look down every now and then at his mobile phone. Why? He was receiving up to the minute texts on a game in Scotland, where his beloved Dumbarton were losing to Montrose. Yes, he was interested int the game in front of him, but he had brought with him other concerns." Mais naturellement. 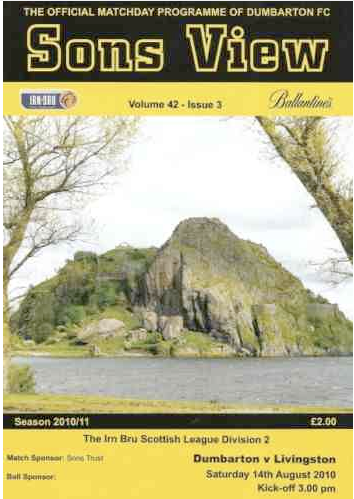 First published in Sons View, 02 January 2008, Dumbarton -v- Albion Rovers. Scottish Football League Division Three. Not much guesswork as to which end of the spectrum we’re looking at for the Sons, of course, but wisdom on slender resources is an even more precious commodity – which is why there’s been such concern about who’s going to be chief honcho. So, whoever takes over the mantle at SHS needs our support every bit as much as our criticism, with the proviso that the latter is always in much readier supply. Well, in my household, anyway! Managing Dumbarton is a difficult proposition for a host of reasons. Lack of money and a league place languishing well below expectations for a Club with a longing for an even prouder history: those are just two of them. Few north of the border would wish Capello anything but the worst of luck – in the nicest possible way. Instead, we’re rooting for the Sons’ new supremo, and whoever picks up those vital Hampden reins. The author is hoping no one puts him in charge of anything. So is his wife. ... positively, at least in a footballing sense, I hope. So have a wonderful and peaceful New Year, whosoever you are - and especially new Sons boss Jim Chapman, whose appointment was announced yesterday on the Club's website. Just in time for a fresh start. If you're a member of the Albion Rovers squad due to meet Dumbarton at the Strathclyde Homes Stadium tomorrow (02 January), on the other hand, please remember: we need those points more than you! By dint of one of those ironies football excels in, Jim Chapman's former team is... Albion Rovers. He says: "I'm looking forward to the game and I can't wait to get started. The boys responded well today to training and it should be a good game."